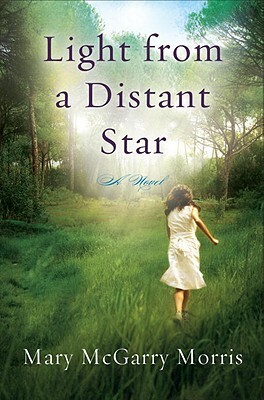 Light from a Distant Star is a gripping coming-of-age story with a brutal murder at its heart and a heroine as unforgettable as Harper Lee’s "Scout." No one will listen. No one believes her, and a man’s life hangs in the balance. A stunning evocation of innocence lost, Light from a Distant Star stands as an incredibly moving and powerful novel from one of America's finest writers. MARY MCGARRY MORRIS was a National Book Award and PEN/Faulkner Award finalist for her first novel "Vanished, " published in 1988. " A Dangerous Woman," published in 1991, was chosen by "Time" magazine as one of the "Five Best Novels of the Year" and was made into a major motion picture. Her next novel "Songs In Ordinary Time" was a CBS television movie as well as an Oprah Book Club selection in 1997, propelling it to the top of the "New York Times" bestseller list as well as making it an international bestseller. Since then she has written four highly acclaimed novels, the most recent of which was "The Last Secret, " published by Crown in 2009. She lives in Massachusetts.